I absolutely love playing chess. It’s my first love. The only hobby I enjoy more at this point in my life is reading. My dad taught me how to play chess when I was around 2 years old. Not sure I knew what I was doing at that age but he was getting me familiar with the game. In retrospect, I think my dad was planting a seed. Chess is responsible for a great deal in my life. In a sense it’s my escape, my therapist, and my mirror. I play when I’m conflicted, confused, lost in thought, or having trouble solving a problem. I play against real people, computers, and even myself (yes, it’s possible). Chess changed my life in that it taught me how to think in a very strategic, step-by-step, systematic manner. It also taught me about relationships, between people and things, and that everything is ultimately connected in one way or another. It helped me reach a level of consciousness that I might not have had if I didn’t learn how to play. Over the years, I’ve realized that the more you understand these connections and angles, the more successful and meaningful your life will be. When I first started playing chess, my very first lesson outside of learning how each piece moved was identifying what checkmate looked like and how to get to checkmate from various situations. There would be a scenario given to me and I would have to successfully complete the “test” by getting checkmate. Most times it would be anywhere from 1-5 moves away. While it might not sound like much now, I had to reverse engineer my success a few moves out as a beginner. One wrong move and you fail. In hindsight, starting with checkmate helped accelerate my development exponentially. For those of you who don’t know how to play chess, checkmate is the chess equivalent of a game-winning shot in basketball or a last minute touchdown in football. What ultimately made all the difference was simple; from the very beginning of my journey I was learning not only what winning (success) looked like, but also how to win. Someone much smarter than me once said that the difference between an amateur and a professional is that, an amateur works to get things right, but a professional works to never get things wrong. This tidbit always stuck with me. This slight change in perspective is the difference between huge extremes in results. Most people are going through life and running their business “on the fly”, that is they don’t know what the end goal is or how they’re going to get there. The late Stephen Covey told us to “start with the end in mind”. Well, starting with checkmate is similar to this principle only it’s more of a process than a single action. Instead of making your journey more difficult and drawn out, how can you speed up your learning curve? Or avoid unnecessary pitfalls? Understand what it looks like and how to get there. Study those who are already winning according to your terms and do what they do (without coming across as a swagger jacker). Establishing what winning is and work backwards to map out exactly how you’re going to get there. Create and commit to a simple system that consists of studying, taking action, and adjusting as needed. This principle is powerful. It’ll help you develop into a better “player” much faster. In chess, it would do you a great deal of good to play a few moves ahead. The more moves, the better. And by moves I’m not just talking about just your moves, but those of your opponent as well. To really excel in chess, you have to have a strong plan of attack, one that anticipates every possible move of the other party. At the same time, your defense has to be as bulletproof as possible. This is where those with vision really shine like a star. You’re ability to see how the next couple of moves are going to play out, and even dictate how things will play out, will give you a huge advantage and greatly increase your chances of success. When I play, I’m usually playing about 5 moves ahead. Doing so makes me due my do diligence, and work to ensure that my game plan doesn’t have any holes in it. If it does, a skilled opponent could exploit that one mistake and turn it into a loss for me. The same applies to your everyday life and how you approach business. Vision is essential to your success. It usually comes from personal experience, and if you’re fortunate you’ll get it vicariously from the teachings of those wiser than you are. The ability to see a potential situation before it occurs is invaluable. You’ll never have to “get” ready because you’ll always “be” ready. And it is, but I like to think that “evaluated” experience is even better. Whenever you play in a chess tournament or any other rated game, you get the opportunity to record the entire game. After playing a recorded game, I would go over each and every move on both sides and try to get an understanding of a few things. The first thing was the quality of that move, was it my best move or were there better options available? The next thing I would study was how that one move influenced the moves to follow, would it strengthen or weaken my positioning going forward? Would it give me a tempo advantage or cause me to lose my tempo? I was obsessed with studying and reflecting on past games so I could be sharper for the next game. I’m a firm believer that reflection is one of the keys to success. Reflection, NOT to be confused with dwelling. It’s important to look at what has happened and learning from it so you can be better moving forward. Reflection would have you moving forward; momentarily looking back so you can improve in the future. Dwelling is counterproductive, you obsess over what happened to the point where you can’t move forward. It’s important to assess what lead to success or failure in a given situation so you can continue to do those things you did well, or tweak those things that you didn’t get right the last time. All in all, reflection is about growth and progression. Something we should all strive for. In chess, once a pawn gets to the opposition’s “home base” it has the ability to be upgraded to any piece one chooses. This too happens in real life. There comes a moment or series of events that “transforms” us from ordinary to extraordinary. That is, all our potential is unlocked and utilized in a focused manner. The key thing to understand is that this potential is always there, just waiting to be realized. While pawns are the least valuable pieces on the board, only a fool would squander them away. A wise player knows that a pawn has the most potential for growth of all the pieces, and if utilized correctly (making all the right moves), you can turn that lowly pawn into an almighty queen. This is the potential of just one pawn, you start the game with eight. Now do you see all that potential? It all depends on how you look at it. The lesson here is that anything is possible no matter your circumstances. It doesn’t matter where you grew up or what opportunities you did or didn’t have in the past. 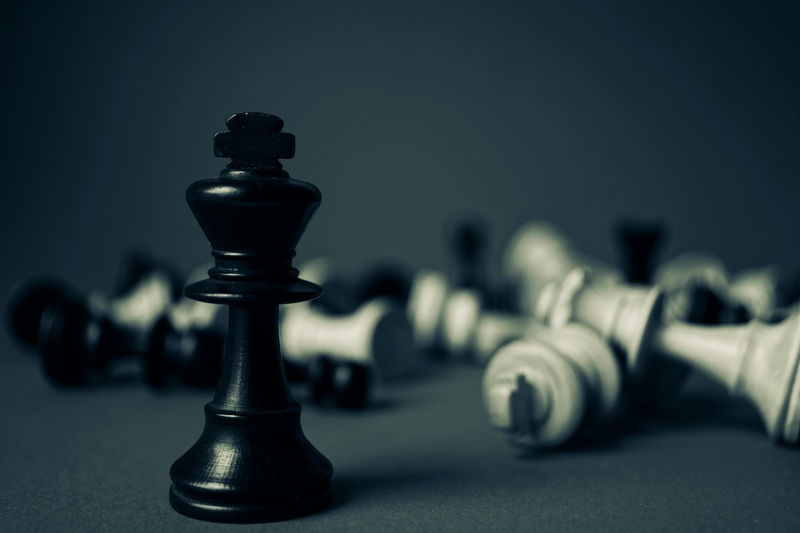 Everyone starts off as a pawn, but if you take the right moves and get to the spot, you can transform your life and your business into whatever you choose. We all have an infinite amount of potential, but in order to reach the highest levels of success we have to first realize the greatness within us and make the best of every opportunity we’re afforded.